WordPress is a popular blogging and content management tool now used by many businesses for their blog or main site. It's now used by over 60 million websites worldwide according to Forbes, including up to 15% of Alexa’s 'Top 1 million sites'. 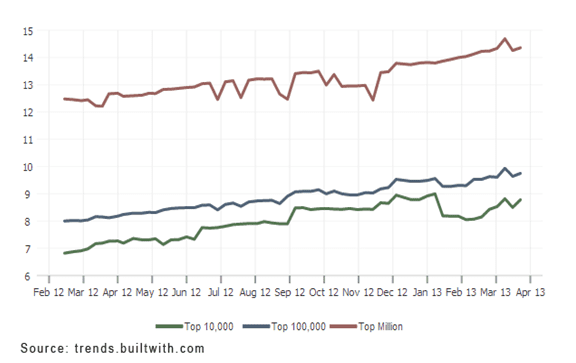 Builtwith.com, a competitor analysis and business intelligence tool providing technology adoption and usage analytics for the internet, has reported that WordPress usage has continued to increase in the past year. 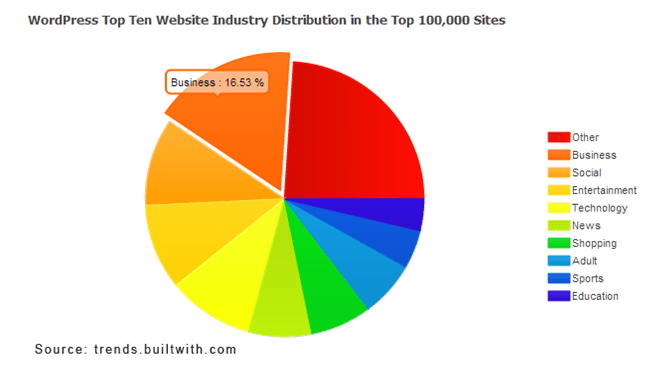 Further analysis of the top 100,000 WordPress sites by builtwith.com shows that while the platform is being used for almost every type of internet activity, WordPress is an extremely popular tool for business – accounting for around 17% of distribution. But what about businesses operating in several countries where users may be interacting in many different languages? Is WordPress suitable? The answer is yes. There are many multi-language plugins for WordPress, two of the most popular of which are WordPress Multilingual Plug-in (WPML) and qTranslate. During my work for a professional language translation agency I’ve had to review, install and use both of these plugins, so thought I would share these experiences with you. 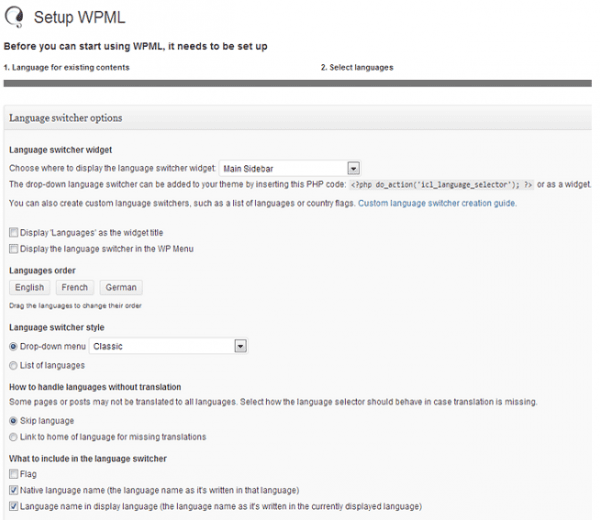 WPML simplifies the management of multilingual websites on a single WordPress install. The default install is available in over 40 languages. In addition, it is possible to add your own language variants using their languages editor (e.g. Canadian French or Mexican Spanish). WPML allows users to have multi-language content in a subfolder on the same domain (e.g. example.com/fr), on a subdomain (e.g. fr.example.com) or on a completely different domain (e.g. example.fr). Once the plugin is installed, it’s extremely easy to configure. 1. Firstly, you need to set the ‘current content language’ of existing content within the blog. This represents the main language that your content will be written in. 2. The next screen allows you to set the alternative languages that you would like to display on the site. 3. The final configuration screen allows you to decide where the language dropdown appears on your site (in a header, sidebar or widget), the order the languages appear in the dropdown menu and also provides the PHP code that allows you to place the dropdown in another custom location on your site. In the final step of the configuration, settings appear which allow you to set whether you would like the site to use a subfolder (e.g. example.com/fr), domain/subdomain (e.g. example.fr/fr.example.com) or using a language query string parameter (e.g. example.com/?lang=fr) to allow the language to be set. Once configuration settings are saved, new options begin to appear in WordPress when editing pages and posts. In the header within the admin system, a dropdown menu appears that allows posts and pages to be filtered by language. New ‘+’ buttons and flags also appear next to the page or post allowing the user to add alternative language versions of each page. Each page or post can be duplicated and edited with content for the appropriate language. This means that each version has its own page title and URL. Once pages have been translated for each of the languages specified in the configuration settings, the dropdown menu on the front-end of the website displays the relevant language options, allowing users to select another language and translating the content into the selected language. WPML costs $29 for the basic and $79 for the complete solution. The examples above were using the basic solution. The complete solution has the ability to translate admin text, manage attachments in different languages and provides multi-user translation management – which is useful if a large team of translators is working on the site. Alternatively you could use qTranslate, which is completely free. qTranslate is even easier to install than WPML because it is available for free within WordPress’ plugins library. All you need to do is search for ‘qTranslate’ in the plugins section of WordPress and select ‘Install Now’. Once the plugin has been installed, additional options appear in the left-hand menu with the default languages of English, German and Chinese being displayed. It is possible to configure your own languages by selecting ‘settings’ within the qTranslate plugin menu. However, while qTranslate has many options for different languages, it doesn’t allow the ability to add new custom languages (such as Canadian French in the same way as WPML). Instead of creating new versions of posts and pages in the specified language, qTranslate uses just one page or post – which can then be modified to allow different page titles and body content. Each language has its own page title field and there are tabs to allow the user to select and insert content in the different languages determined in the set up above. This means that every page or post has a single URL – but many different language versions on that URL. It is possible to customise qTranslate to allow custom URLs for each language, however, this relies on the user having PHP and HTML skills or access to a good web developer. qTranslate also does not allow the user to specify whether they would like their site to use a different subfolder, subdomain or domain to determine which content is displayed. qTranslate also doesn’t work well with some plugins – notably the Yoast WordPress SEO plugin - whereas WPML integrates quite well with lots of plugins. Site owners would need to evaluate the compatibility with existing plugins before making their decisions on the appropriate multilingual plugins. With all these choices, decision makers may struggle to determine what the best options are for their business. Here are some tips that will allow you to make the right decision in relation to SEO, performance and cultural adaptation of your multi-language website. If your organisation is not a well-known brand and relies heavily on organic search traffic then a single site, hosted in a single location, serving users in different countries may not be advisable – particularly if it uses a country code TLD (or top-level domain), for instance .uk, .fr or .jp. One of the best ways to inform search engines of the country in which your business operates is by using a ccTLD. When Google sees a .jp website, it assumes the content is more relevant to Japan than to other countries and ranks the site accordingly. Another method of informing Google of the country your site intends to target is through Google Webmaster Tools. Within ‘Configuration Settings’ there is a setting called ‘Geographic Target’ which allows you to set the country that you wish to target. Once set, Google will begin to display your site content within the relevant target country’s search engine results pages. However, Google considers that 'you are swimming upstream' if you try to target a domain with a ccTLD of a different country – for instance if you try to target Japan with a .co.uk domain. Since all WordPress multi-language plugins add country code parameters to the URL (e.g. example.co.uk/en/content or example.co.uk/fr/content) in order to deliver text in the appropriate language – this is likely to present an issue to site owners – particularly ones with ccTLDs as their main domain. For local businesses that are using generic TLDs (.com, .net etc), the physical location of the web server could affect the ability to rank in the target region. If you have a .com domain, have not specified the target country in Webmaster Tools and your server is in Japan, Google may think that you are a Japanese business and prioritise your site on Japanese Google searches while suppressing it on searches in other countries. According to Forrester, consumers now expect to wait no longer than two seconds for a web page to render. So, ensuring that your website loads in less than two seconds is critical if you want to reduce bounce rate and increase user engagement. For sites that are hosted in one geographical location, but target users in another, visitors are going to experience greater latency when attempting to access the site. For example, if your WordPress site is hosted in the UK but has a Japanese language version on the URL (e.g. example.com/jp), then traffic from Japan needs to travel large distances across the internet in order to connect to your site to retrieve the text, style sheets, scripts and image files that make up your website design and content. In order to increase performance for users from different geographical locations, it is recommended that your site is hosted in the target country. This is where most of your customers will be located so you should ensure that they can access and navigate your site quickly and easily. Aside from the SEO and performance issues associated with having a single WordPress site in multiple languages, there are many reasons why you may not want to use a multi-language WordPress plugin on a single host to target users in different countries. 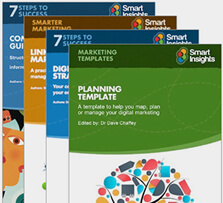 The key to success in international markets lies in adapting your website and marketing messages to fit with the desired audience in each country or region. This means that the same content may not work across multiple countries or regions. So creating content which is then translated into multiple languages may be a poor way of engaging with users in international markets. For these reasons, the best way of launching your business in multiple countries and languages may be to create a separate WordPress installation for each country, located in the target country, on its own domain with the target country ccTLD (or with the target country specified in Google Webmaster Tools) and with content that is tailored for customers in that country. This will improve performance, SEO and the ability to engage customers within the target market. For companies that have significant business interests in international markets, it is recommended that they approach a professional translation agency for advice before expanding into these markets. Thanks to Yusuf Bhana for sharing his advice and opinions in this post. Yusuf is Digital Marketing Manager of TranslateMedia. You can follow him on Twitter or connect on LinkedIn.